Get 10% off all WWII North Africa Campaign Kits as incentive for May’s MOC Contest. 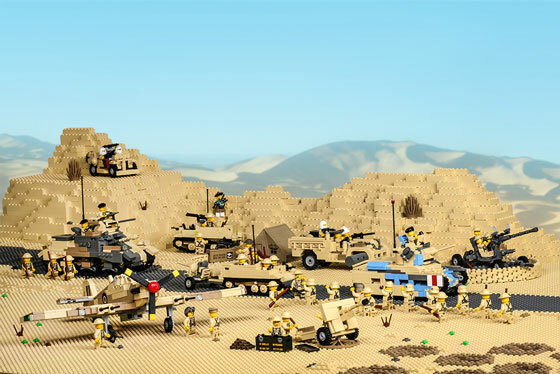 Brickmania’s May MOC Contest, you must create a MOC (My Own Creation) around the theme of WWII North Africa Campaign of any size, color, or quantity. MOCs must be submitted to this Flicker Group by May 24th before midnight (central time). MOCs must be of WWII North Africa Campaign theme. MOCs must be original to this competition and not an old build. MOCs should not simply be Brickmania kits with a few things added. MOCs submitted by the 24th will be judged by the expert builders of the Brickmania staff. Their decisions will be based on build originality, build quality, and photo composition/quality, to name a few. Results will be posted at the end of the month.